In my never-ending quest to find more time to relax, put my feet up and enjoy a glass of wine and a good book, I’m writing today about designing your home in a way that helps to minimize your cleaning time. 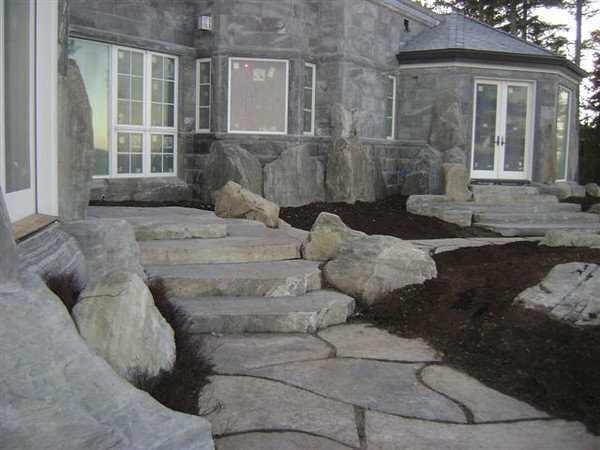 Whether you are contemplating a remodel or designing your dream home as a new construction, your choices in layout, finishes and furnishings will all impact the amount of time you spend cleaning. So sit down, put your feet up and pour yourself a glass of wine. But before you pick up that book, read the tips below and see if some of these will work for your home. 1. Start with the floor. This is the thing that gets dirty the fastest. My first choice is stained concrete with a protective sealer. Minimal seams and a nonporous seal make it a snap to sweep or mop and pretty much impervious to anything that may spill. 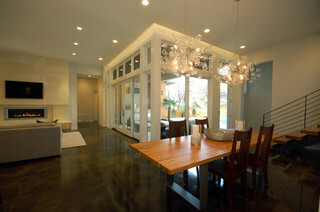 Other great flooring options are laminate or luxury vinyl tile in a wood-look plank. Hardwood floors are easy to sweep and mop too. A good dust mop and sponge mop are all you need for all of the above, but with the hardwood, you can’t put off cleaning up any splash or splatter. If you must have wall-to-wall carpet, try limiting that to bedrooms, where you’ll tend to go barefoot. 2. Consider carpet tiles instead of wall-to-wall carpet or large area rugs. They come in a wide variety of textures. Flor has some good options with a softer and deeper pile than what we traditionally think of carpet tiles as having. They are just as easy to vacuum as any other area rug, but here’s the coolest thing: If a tile gets a really bad spill on it, you can take up that one tile and literally wash it in the sink. After it is dry you put it right back down. Easy peasy. 3. Install a central vacuum system with sweep inlets. No more repeated times bending over and trying to sweep the last bit into a dustpan. Your sweeping and vacuuming will go so much faster. 4. Treat your walls right. Your walls should be easy to clean too, especially if you have children or pets. I will never forget walking into a home to find that the clients’ 3-year-old daughter had colored on every wall between her bedroom and the family room. Fortunately that happened before we painted, but it cemented their decision to use Benjamin Moore’s Aura paint for its “scrubability.” Is that a word? I think it is if you have kids who color on the walls. Bottom line is that if you select excellent-quality paint and the right finish for high-traffic areas, you’ll have an easier time cleaning the walls without fear of taking off the paint. 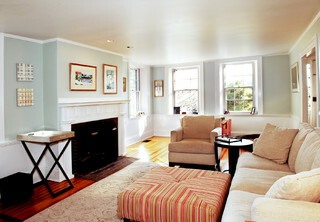 This beautiful room is painted in a Benjamin Moore Aura paint from the Affinity Color Collection, Constellation AF-540. 5. Rethink wall coverings. Do you love wall coverings but think they will be hard to clean? 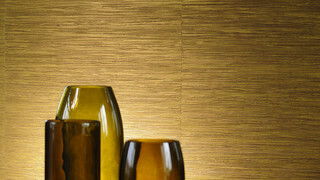 Then consider vinyl wall coverings. These have improved so much over the past several years that now you can find options that mimic silk, grass cloth, linen and more. They are easily wiped down, and they are affordable. Modern Family Room design by Minneapolis Architect Charlie Simmons – Charlie & Co. Design, Ltd.
6. Choose upholstery fabrics that are durable, stain resistant and easy to clean. Leather upholstery is a favorite for people with children because it is easy to wipe off. I would stay away from white or ivory leather if you’re choosing it for ease of cleaning, because things like red Kool-Aid, red wine and yellow mustard can stain the leather. A better choice would be charcoal gray, black, taupe, brandy or chocolate colors. 7. Consider upholstery choices beyond leather. These gorgeous and sophisticated dining chairs use faux leather (yes, that is an upscale way of saying vinyl) on their seats. 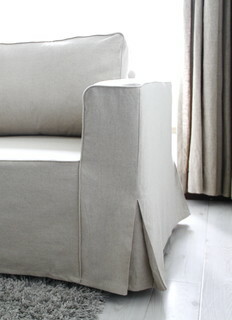 Vinyl upholstery has come a long way from the very plastic-looking white or black we are all used to. Good-quality designer brands have options that really, really look like leather. And if the leather look isn’t for you, they have textures that imitate fabric very convincingly. 8. Don’t forget fabric. 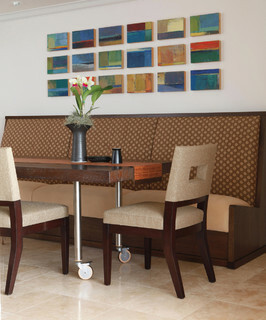 Choose contract-grade fabrics that have been treated to be stain repellant. I’m having some custom-designed dining chairs made and have selected a luscious Kravet textured velvet that is treated with a stain repellent. Water runs right off of it so well that it is almost hard to get it wet. And I’ve chosen a deep garnet color, so it doesn’t show every little smudge. Good-quality fabrics are worth their extra cost. 9. Send in the slipcovers. They’re another good choice for easy-clean upholstery if you make sure they are machine washable. If you’re having custom slipcovers made, be sure to select machine-washable fabric and to have it washed before they are sewn. 10. Put your furniture on the move with casters. This is one way to speed up sweeping, mopping and vacuuming, especially in dining areas. Just roll the table out of the way for a wide-open space to clean. Make sure those casters are the locking kind so the table doesn’t roll away while you’re trying to have a meal. 11. Plan your storage carefully. Make use of every nook and cranny. I could do several ideabooks just on the topic of storage alone. But these two basic guidelines will help you plan storage that helps you clean up in a hurry. Put storage near the place where the items to be stored are actually used. 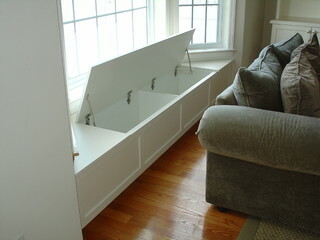 This window seat storage is handy for holding extra lap blankets for the sofa. If this is a family room, games or toys might go in here. This would be much closer than a hall closet halfway across the house. Locate your most often used storage where it is easy to reach. Although cabinets or closets that run all the way to the ceiling do make use of space, if you have to drag a step stool out to put things away, it will slow you down. 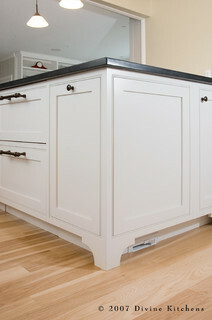 Save those high cabinets for items rarely used. Traditional Family Room design by New York Furniture And Accessories S.A.N Design Group, Inc.
12. Choose furniture with storage. While built-in storage is wonderful, don’t forget to consider storage when choosing your furnishings. 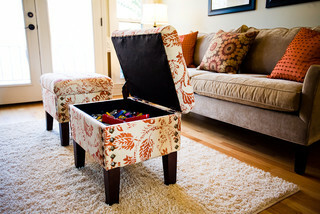 Storage ottomans give you a quick spot for stashing magazines, toys or throw blankets. 13. Locate your laundry room where it will be most convenient. Placement in a garage or basement is common but generally not very convenient. Where is your ideal laundry spot? Mine would be right next to my master bedroom suite. Since I dress next to my closet, it would be most convenient for me to toss clothes straight into a nearby washer. Pulling clothes out of the dryer and being just a few steps away from putting them back in my closet would be heaven. And it’s just me and my husband, so I don’t have to carry laundry to other rooms. But that scenario isn’t for everybody. Some people prefer the laundry room to be near — or even within — the kitchen so that they can run loads while doing other chores in the kitchen and keeping an eye on children. Just think about it very carefully. What location would save you time and steps? 14. 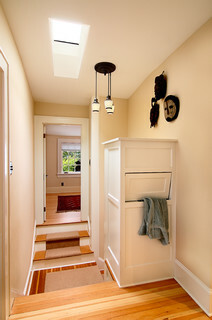 Make it easy to get the laundry to the laundry room. Laundry chutes are low tech but require careful planning to locate them well. Bathrooms or halls near bedrooms are both great spots, making it easy for everyone in the family to send dirty clothes straight to the laundry room. 15. 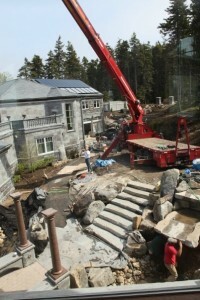 Consider reducing the total size of your home. 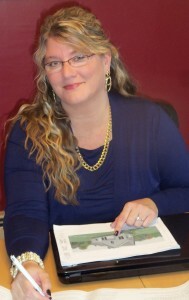 If you’re planning to build or buy a new home, really think about how much space you need. If you maximize the functionality of your home, you may not need nearly as much space as you think. It’s just simple logistics that the larger your home is, the longer it takes to clean. If you’re not moving to a new home, then just reducing the amount of stuff you have in your home will also help. Wherever it makes sense, declutter, purge and divest yourself of things that take up your time and energy to care for.